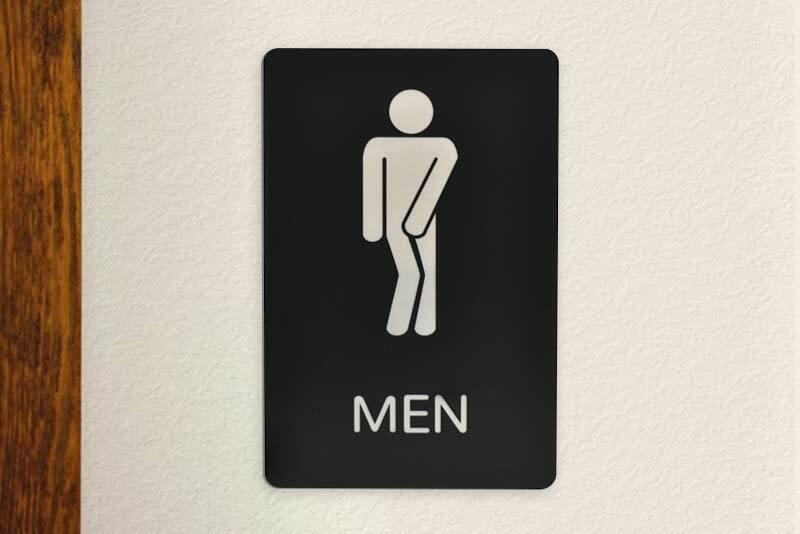 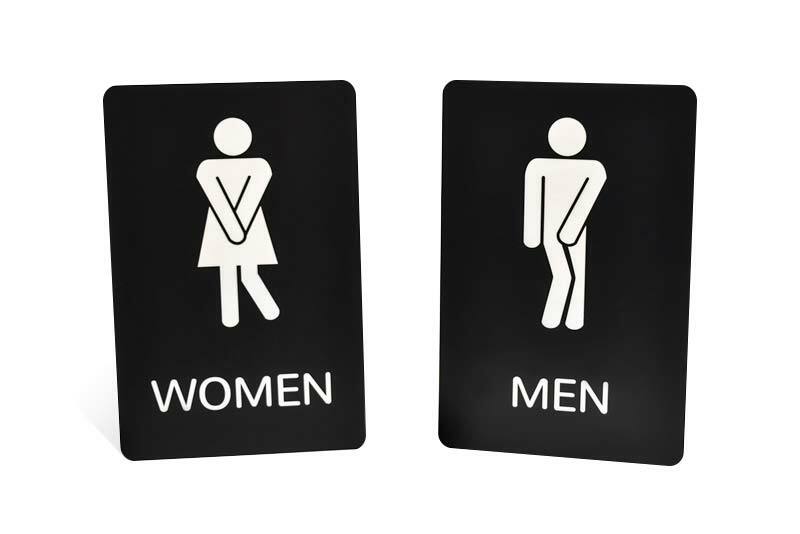 Post these hilarious bathroom signs at the restrooms in your office as a lighthearted contribution to building company culture in the workplace. 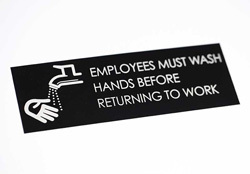 Acrylic signs measure 6"W x 9"H and include crisp, laser engraved funny man and woman graphics (as shown in photo) with standard MEN or WOMEN text. 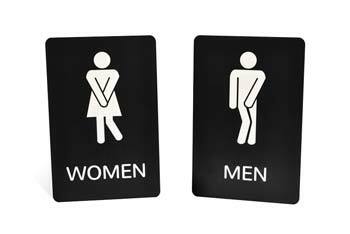 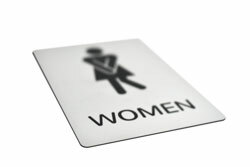 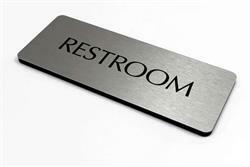 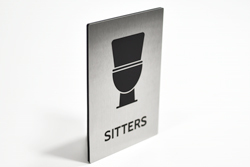 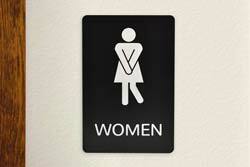 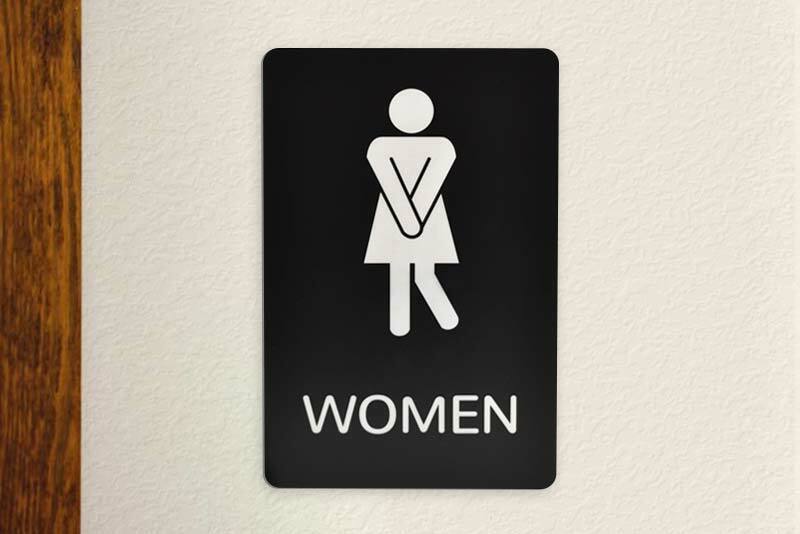 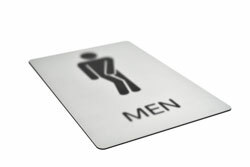 These signs are made of durable acrylic (1/16" thick) that is easy to clean—the perfect fun restroom sign for the facilities in your restaurant or bar. 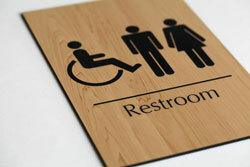 Include any custom text you prefer or e-mail us your own graphics to put on the signs at no extra charge! 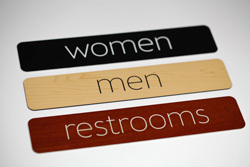 Choose from a wide variety of color combinations and finishes. 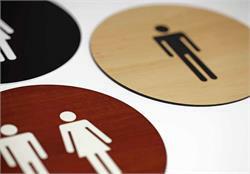 If you don't see the size you need or you require something custom, send your details via e-mail to service@officesigncompany.com or reach us by phone at (701) 526-3835.